“The Student of the Year Awards call for excellent academic achievement, leadership ability, and community engagement. Shandiin and Jade exemplify these qualities and we are delighted to honor and congratulate them,” said Angelique Albert, Executive Director of AIGC. Shandiin Herrera, a member of the Navajo Nation, is currently an undergraduate majoring in Public Policy at Duke University. She is a Gates Millennium Scholar, a Udall Scholar, and a Chief Manuelito Scholar. Shandiin has played a transformative role as an executive member of the Native American Student Alliance and as the President of Alpha Pi Omega, the only two organizations dedicated to fostering the growth of Native students at Duke. 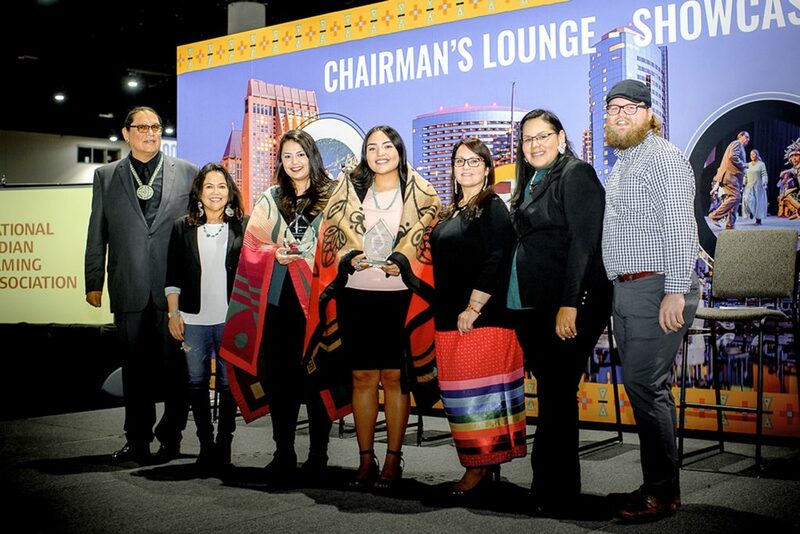 She has been recognized by the Center for Native American Youth at the Aspen Institute as a 2019 Champion for Change. Ultimately, Shandiin hopes to use her education and her leadership experiences to serve her people through enhancing policies for Navajo families living on the reservation. Jade Herman, an enrolled member of the Rosebud Sioux Tribe, holds a bachelor’s degree from the South Dakota School of Mines & Technology and a master’s degree in administrative studies from the University of South Dakota. She is pursuing a doctoral degree in interdisciplinary leadership from Creighton University. She is Special Projects’ Coordinator in the SD Mines Office of the President, where she manages the university’s tribal outreach plan, coordinates community outreach and large special events, and manages communications for capital projects. She serves on the University’s strategic plan steering committee and campus master plan architect selection committee. She is secretary for the Non-Faculty Exempt Employee Council, sits on the SD Mines Alumni Association Board of Directors, and represents SD Mines on the Ranch A Restoration Foundation Board. AIGC & AIGCS are the largest scholarship providers to American Indian and Alaska Native students. For nearly 50 years, we have empowered tribal students from over 500 tribes in all 50 states. AIGC funds undergraduate, graduate and professional degrees in any field at any institution of choice. AIGC is the Center for Native Scholarships.